This superb panel (c.1430) by Fra Angelico (c.1400–55) was presented to the Monasterio de las Descalzas Reales. Andrea Mantegna (c.1431–1506) shows the Virgin Mary being carried into heaven in this work (c.1462). These panels (1483) by Botticelli (c.1444–1510) were commissioned by two rich Florentine families. In 1661 this painting (c.1513– 16) by Raphael (1483–1520) was considered the world’s finest. This early work (1547) by Jacopo Tintoretto (c.1518– 94) reveals his brilliant handling of perspective. Paintings by Titian (1477–1576) were prized by Carlos I. 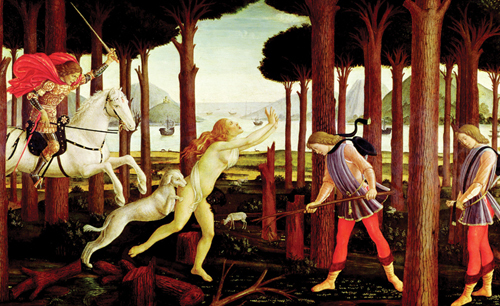 This 1554 work depicts a mythological story by the Latin poet, Ovid. Caravaggio (1573–1610) had a major impact on Spanish artists, who admired the dark and light contrasts as seen here (c.1600). Founder of the Venetian School, Giovanni Bellini (c.1431–1516) shows an assured use of colour in this devotional painting (c.1490). This beautiful work (c.1580) by Paolo Veronese (1528–88) is a masterpiece of light and colour. This work (1767–9) by Giovanni Battista Tiepolo (1696–1770) is one of a series intended for a church in Aranjuez. Technically brilliant, irreverent, ironic, satirical, sarcastic and bitter, Goya’s “black paintings” are some of the most extraordinary works in the history of art. 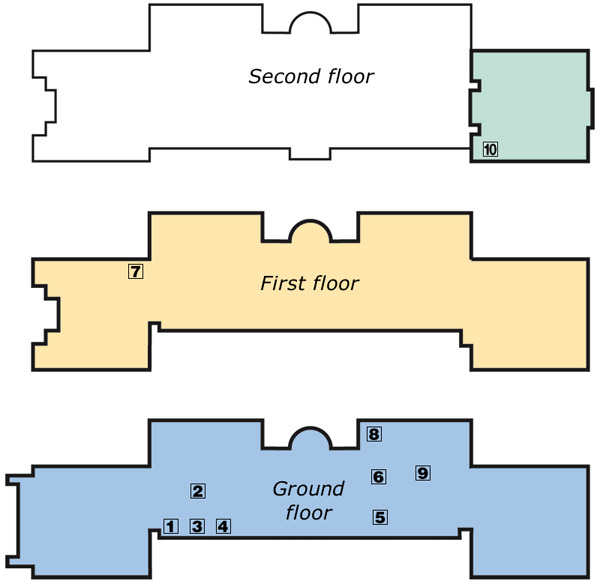 They originally decorated the rooms of his house, the Quinta del Sordo (“Deaf Man’s Residence”), near the River Manzanares and were produced while he was recovering from a serious illness. In 1873 the then owner of the quinta, Baron D’Erlanger, had the paintings transferred to canvas and donated them to the Prado Museum. What these 14 paintings have in common, apart from the uniformly sombre colour scheme, is a preoccupation with corruption, human misery, sickness and death. The key to the series is the terrifying Saturn devouring his Son, based on a painting by Rubens, but in which the god is transformed from Baroque hero to the incarnation of evil. Even San Isidro Fair, which features the artist, is almost a travesty of his earlier depiction of the fiesta (see The Meadow of St Isidore) and reveals how far he had travelled as man and artist over the years. 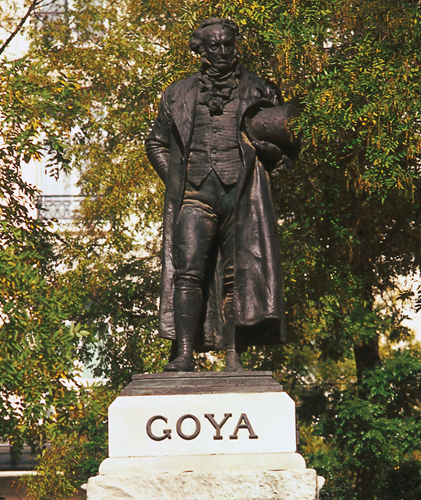 Francisco de Goya Spain loves to honour its famous sons and daughters with statuary, as with this figure of Goya outside the Museo del Prado.